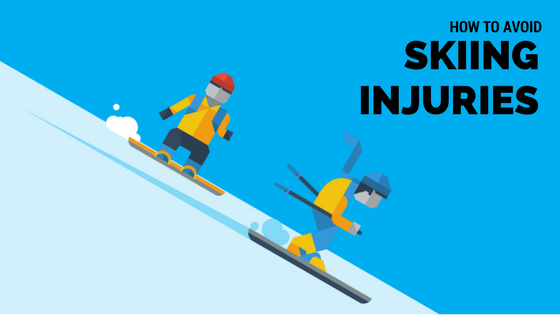 It’s peak ski season here in New York City, and ski injuries are presenting at physical therapy offices throughout NYC. The most common by far, are to the knee, specifically the anterior cruciate ligament (ACL). Matt Hastings, PT, DPT at SPEAR, was a ski instructor in Breckenridge, Colorado, for three years prior to becoming a physical therapist, and his passion for snow sports runs deep. So does his experience with all kinds of ski and boarding-related injuries, particularly the dreaded ACL tear—dreaded due to its frequency and the duration of recovery, often six months or more. Even with a decline in ski injuries over the last number of years, if 2017 is like prior seasons, 20,000 skiers (more commonly women) will tear ACLs this year. The good news? Many ACL tears and other injuries can be avoided with some focused pre-ski training and vigilance on the slopes. Hastings offers five tips for an injury-free ski season. Improving overall fitness—endurance, strength, stability and power— can go a long way toward helping you prevent ACL and other ski injuries. Isolating muscle groups like the quads, glutes and hamstrings is key to maintaining balance when skiing or snowboarding. In the lead up to ski season, Hastings recommends a combination of isolation, compound and plyometric exercises such as wall sits, lunges, box jumps, front squats and Bosu squat holds that parallel the movements in skiing and snowboarding. Adequate stretching will help get you to après ski in one piece. Hastings prescribes an active dynamic warm up with a focus on movements that mimic activities you are about to perform, including lunge walks (forward and lateral), narrow and wide squats, quad pulls and knee hugs. “We have a tendency when we are scared to sit backwards, which forces the knee into a position where you’re in the greatest danger of tearing your ACL,” Hastings says. “You want to go to the side if you’re feeling out of control or unsafe while making sure to avoid obstacles and other skiers.” By bending your knees slightly and falling onto your hip you will avoid putting your knee in a dangerous position that could lead to injury. “When you’re getting to that point when your body is telling you no, there’s a reason for that.” Ski easier at the end of the day, when you are typically fatigued.